Greek, two denarii. A denarius was equivalent to a labourers full day’s wage. Early morning, the next day. Cool, early morning pre-dawn light, with dark shadows. 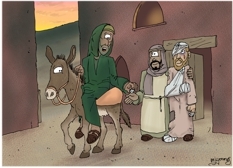 01) (This page) Luke 10 – Parable of the good Samaritan SET01 – Scene 05 – Parting. 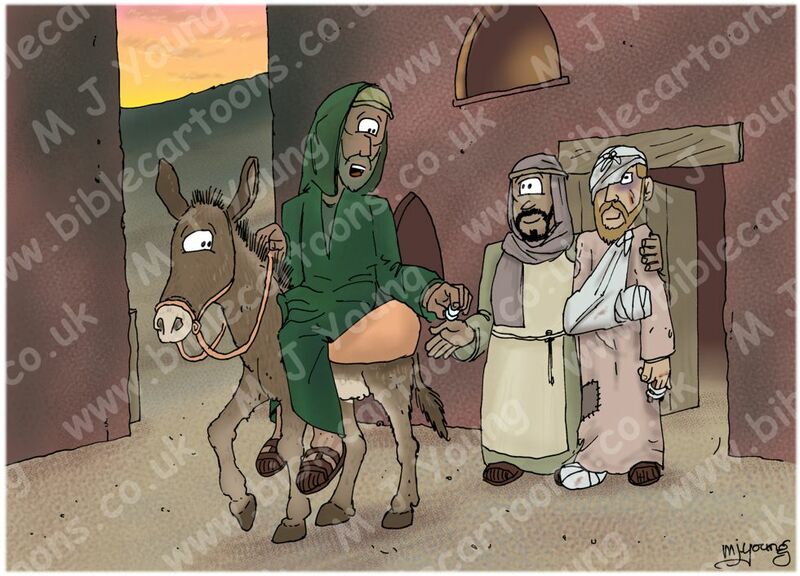 02) (Next page) Luke 10 – Parable of the good Samaritan SET02 – Scene 05 – Parting.